Ann is teaching in New Zealand. 1 Where are you teaching at the moment? I recently finished my teaching contract in Wellington at MCLaSS: Multicultural Learning and Support Services teaching refugees and migrants. I have now moved back to Auckland, looking forward to continuing my career in teaching ESOL. Since finishing my contract with MCLaSS, I am doing relief teaching with Elite Management School where I teach international students on their pathway to university courses as well as those who are going to sit IELTS. 2 What kind of school are you teaching in? 3 What do you like most about the students you teach? They are really passionate about learning English! Most of them didn’t choose to be here, so they have a lot on their plate. So it’s really inspiring seeing how despite all, they are still working really hard to make it here and integrate with the community. The excitement on their faces when they learn the language they can use in their daily lives really inspire me. They are such lovely people and I looked forward to coming to school to teach them every day. 4 What’s a recent lesson that you really enjoyed teaching? And why did you enjoy it? I really enjoyed a lesson I did about maps and directions. It had a lot of physical and realistic aspect to it. We even went out into the city where students gave directions to each other and the listener then had to follow them. The students really enjoyed identifying intersections with the street names, using prepositions correctly and most of all, being able to read a map and take directions. 5 What’s the next challenge for you as a teacher? At the moment, I am looking forward to continuing teaching ESOL in Auckland. I am interested in material design in particular. I have always designed my own materials for my students but I’d love to take it to the next level where I have a wider variation of teaching materials to see what works with different types of students. I’d also love to learn more about gamification in education. Contrary to popular belief, gamification is not about using games in your lesson. Instead, it takes apart the mechanics of games and study how they motivate learners and encourage them to continue to make attempts to the point of mastery despite making mistakes and ‘failing’ numerous times. 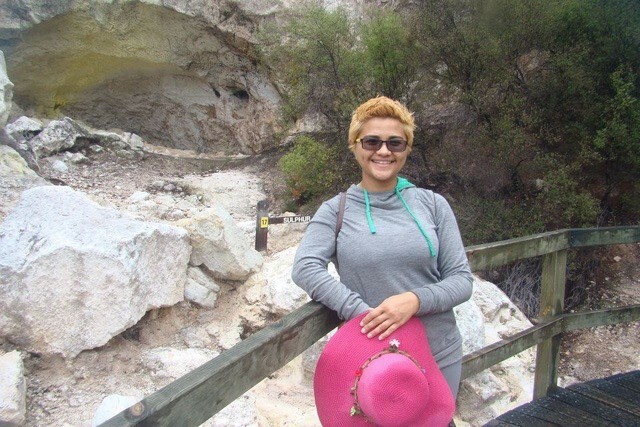 Ann is a CELTA graduate from Languages International in Auckland, New Zealand.